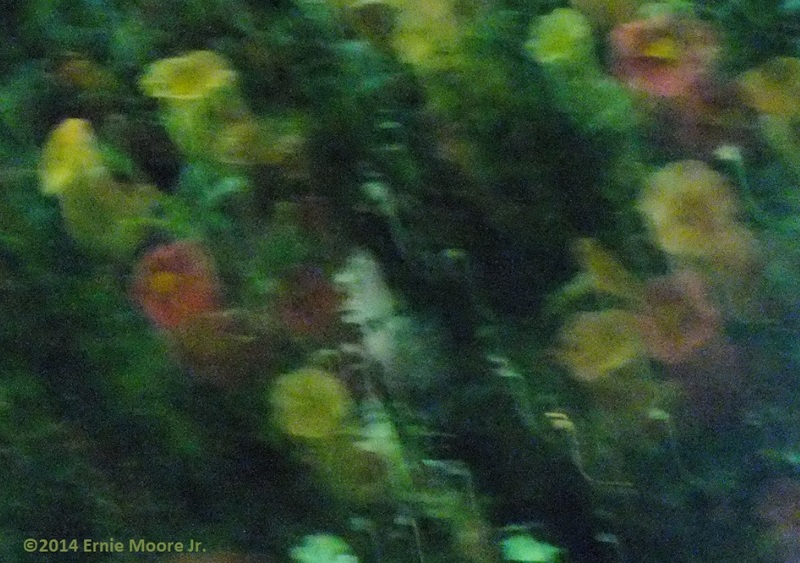 Camera Motion Image Capture Impressionistic Art of flowers. Light between the plants along with the camera motion leaves an impression that could be seen as pirates (a monkey) and snakes amongst the flowers-or in the garden. [Image within an Image]-Ernie Moore Jr.